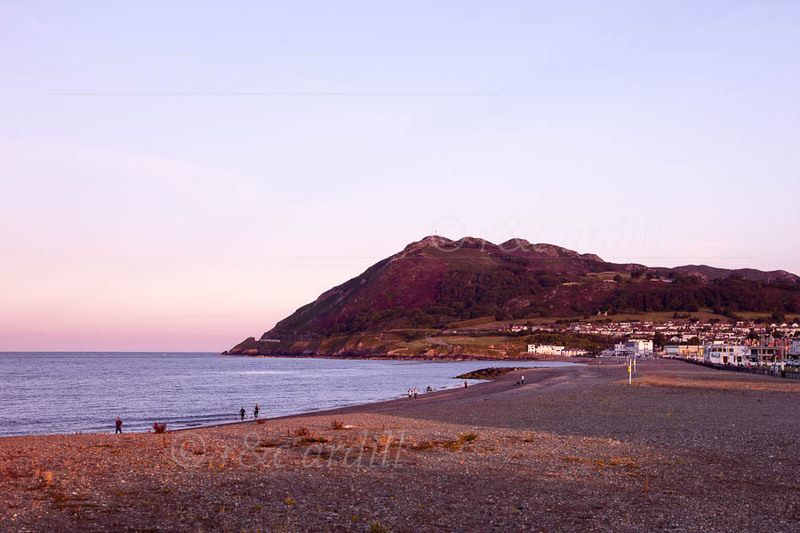 A view of Bray Head from the Bray Strand at sunset. Part of the town can be seen at the right of the image. There are spectacular views from Bray Head: Killiney Bay and Dublin Bay to the North; the beautiful coastal walk south to Greystones; and looking West, the Sugarloaf Mountain and Wicklow Mountains.